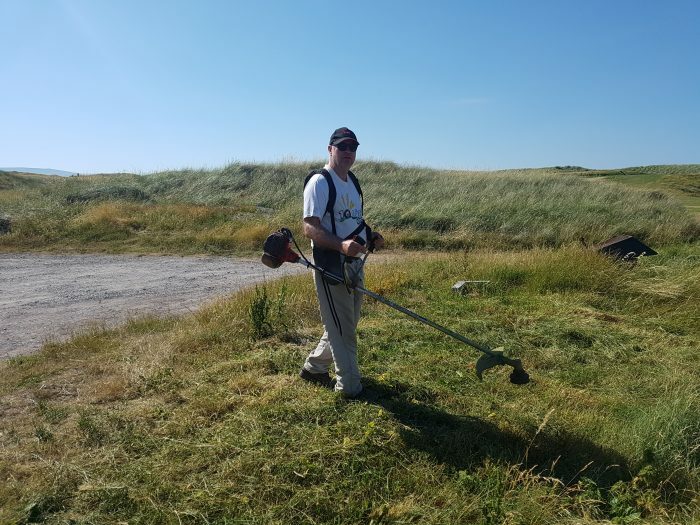 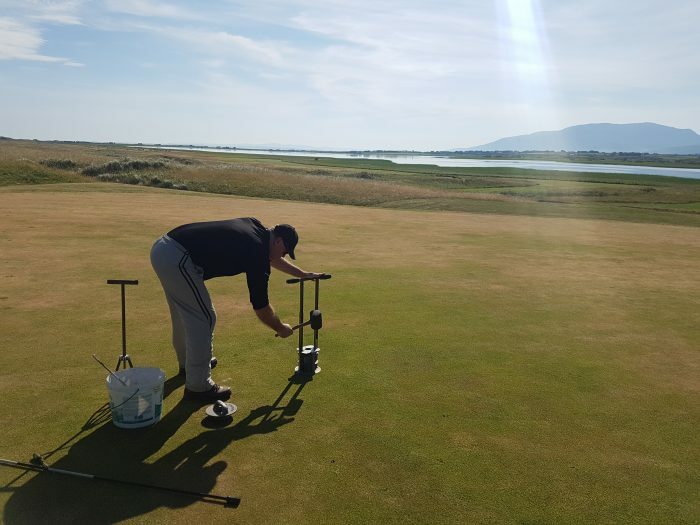 Our very own Derek MacDonald has been learning the tools of the green keepering trade in sunny Ireland. 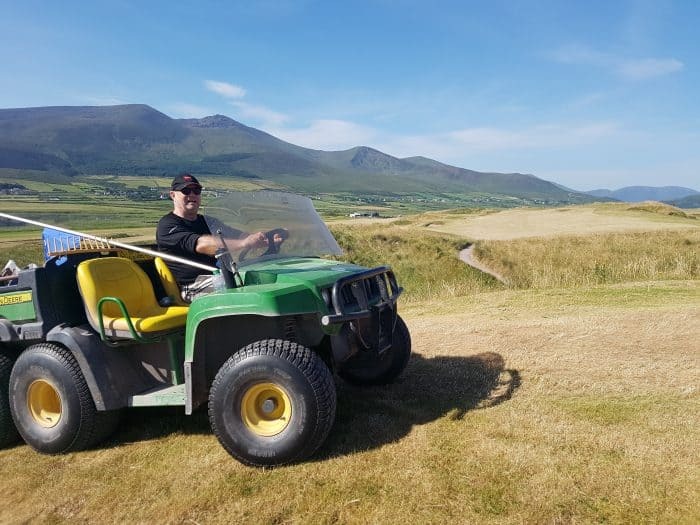 Derek has spent several days in training at some stunningly beautiful golf courses. 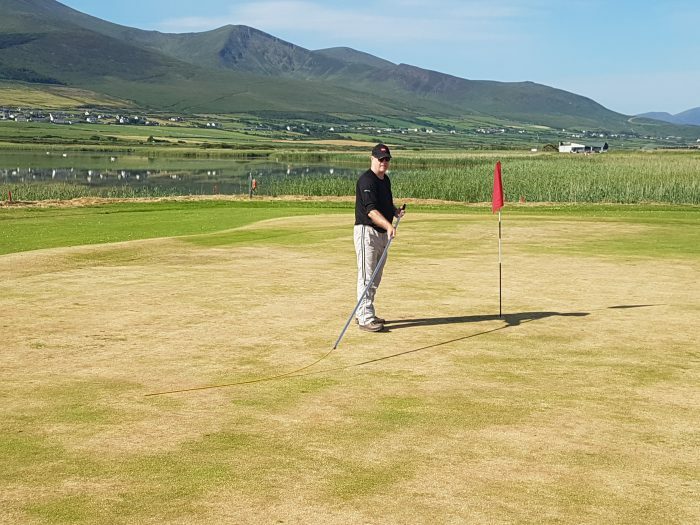 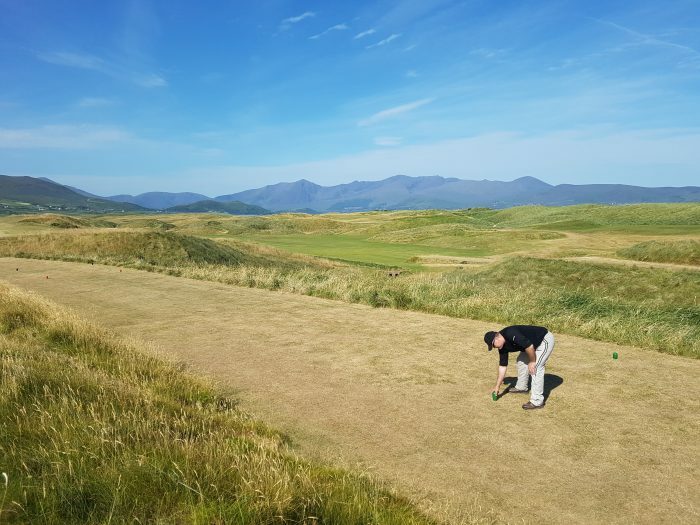 With record beating temperatures for the region, Derek has undertaken a range of seminars and activities which will allow us at Angus to better understand green keepers’ requirements for turf nutrition.